Supply Vacuum Lubricant/hydraulic Oil Purifier by Cqzn Oil Recycling & Purifying Plant Manufacturer Co., Ltd. Supplier from China. Product Id 144248. Series ly is special for purifying all kinds of lubricating oil such as the hydraulic oil, mechanical oil, coolant oil, gear oil, and heat treatment oil and so on. According to the lubricating oil's nature, this machine can rapidly remove water, gas, particulate matters and impurities from lubrication oil, so guarantee lubricating system of machine to work properly and prolong lifetime of machine. 3. More deeply and precisely fh rectangle filtering system. The oil will reach to the new oil's nature when it was purified. 4. Zhongneng's unique technology with h. P. M high molecule absorption material. MOBILGEAR 600 XP 220 Gear Oil Mobilgear 600 XP 220 Descriptions MOBILGEAR 600 XP 220 is extra high performance gear oil that has outstanding extreme pressure characteristics and load-carrying properties, intended for use in all types of enclosed gear drives with circulation or splash lubrication systems. MOBILGEAR 600 XP 220 is designed to stay ahead of the changing needs of gearbox technology. Gearbox technology design trends are towards smaller units with similar power throughout. This increase in power density places increased demands on gear oils. MOBILGEAR 600 XP 220 is formulated to meet the stress by providing extra protection for gears. 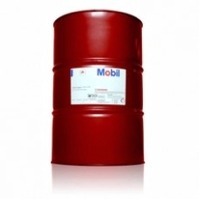 Search More Like "Supply Vacuum Lubricant/hydraulic Oil Purifier"